Based on the latest technology and the best quality material, we take pride in presenting the best solar panels in India. 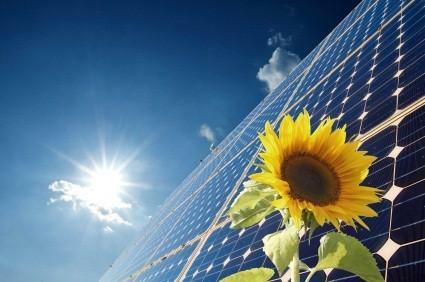 Our solar panels are highly efficient, durable and reliable. Each of our products is certified by TÜV Rheinland, in compliance with ISO 9001:2015 & ISO 140001:2004 standards. We focus on high engineering standards and quality approach to ensure a high level of customer satisfaction. Get ready to invest in the future and save thousands on your big-fat electricity bills for 25+ years. To maximize the Sun’s potential and to eliminate shading, gap between module frame and solar cells is optimized. Uniqueness of our solar panels lies in the fact that the solar cells are laminated between UV resistant polymer and high transmission toughened glass surface to extended the life of solar panels and lessen the power degradation. Solar panels promise a brighter, cleaner future. Solar panels work on the principle wherein a PV cell converts sunlight into electricity. When sunlight falls on a PV cell, it gets absorbed which in turn generates electricity .Get the Photon advantage with the best solar panels in India.